Can a Toothache be Cured by Putting an Aspirin On It? Tooth Truth or Mouth Myth? Our myth-bustin’ Apple Valley dentists, Dr. Shelley and Dr. Bennett, are responding to old wives’ tales, sayings or commonly held beliefs about teeth and oral health and letting you know which are “Tooth Truths” and which are “Mouth Myths.” You can submit your myth bustin’ question to the Dakota Dental Apple Valley Dental Clinic at: http://www.dakotadental.com/ask-questions/ and then keep an eye on this blog where it’ll be busted. This is definitely a mouth myth and is actually a harmful practice! A toothache will not be cured by putting an aspirin on it and additionally, holding an aspirin against a tooth long enough can damage your gums and other soft tissues inside your mouth. Aspirin is an acid (acetylsalicylic acid to be exact) and like most acids, it will damage your bodily tissues if you maintain contact with it. Think of soaking your unprotected hands in any kind of acidic compound – it will cause an irritation or even a severe burn. An aspirin held inside of your mouth can burn your gums and cheek tissue and can end up being quite painful. It’s possible that this old wives’ tale originated just simple because aspirin is a painkiller – so consuming an aspirin of course will “temporarily” relieve a toothache. But the relief is temporary and will not cure a toothache. 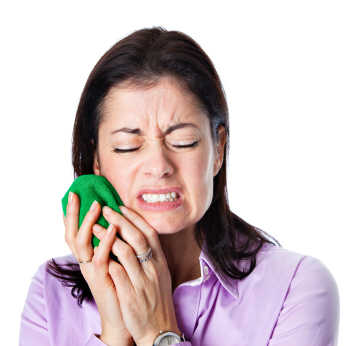 What should you do if you’re experiencing a toothache? Call Dakota Dental Apple Valley Dentistry right away for an appointment or for our dental emergency services. The only “cure” for a toothache is to treat the cause. Apple Valley dentists, Dr. Shelley and Dr. Bennett will professionally and gently perform the dental services needed to completely relieve your toothache pain. For immediate and temporary relief of a toothache, you can floss and rinse with warm water to remove any food particles that may be further irritating the tooth and take an over the counter pain reliever.